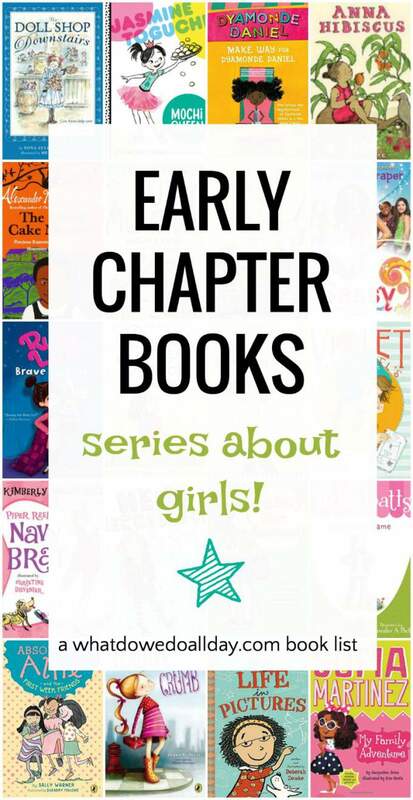 Continuing with my book list series of early chapter books, today I’m featuring our favorite early chapter book series with girl protagonists. Note that I do not say: “early chapter books for girls.” My 8 year old son has given the seal of approval to all of these books. Why should kids read series? I know my kids start to think of favorite characters as friends. That encourages reading because when you have a friend you want to read all about her further adventures! So, be prepared to bring home stacks of books home from the library. Anna Hibiscus by Atinuke. This is an absolutely wonderful series about a girl living with her extended family in Africa. It’s gotten loads of praise by all the critics, and deservedly so. It’s a lovely series to introduce your children to family life in another culture. Jasmine Toguchi by Debbi Michiko Florence. Each book in this fun new series incorporates Jasmine’s Japanese-American heritage into the story line. Intrepid Jasmine tackles pounding muchi rice, Japanese Girls’ Day, Japanese drumming, and more. Lola Levine (series) by Monica Brown, illustrated by Angela Dominguez. I really like the Lola Levine series, and this is the first book in the series. 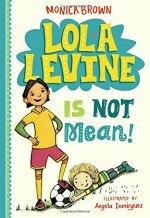 Half-Jewish, half-Peruvian Lola loves to play soccer but is distressed when she accidentally hurts a classmate and the other kids start to call her “Mean Lola Levine.” Lola figures out a plan to change everyone’s mind and show them that she is really a nice person and good friend. I love the way the books in this Lola’s embrace her multiracial heritage. Clementine by Sara Pennypacker. Clementine might be my favorite 21sh century heroine. She’s super-spunky and determined to enjoy life despite constantly getting into scrapes. She’s been compared to Ramona many times, but I think I like her even better. The Doll Shop Downstairs by Yona Zeldis McDonough. Three sisters in early 20th century New York City live above their parent’s doll repair shop. This is a wonderful pair of books with an old-fashioned feel and charming illustrations. Author Yona Zeldis McDonough skillfully works in historical details about the effects of WWI on the family business and Jewish life in NYC’s Lower East Side. Marty McGuire by Kate Messner. This is an intelligent, relatively new early chapter book series that follows the adventures of a decidedly un-girly-girl heroine! Third-grader Marty doesn’t want to play the princess in the school play and she shreds her princess paper dolls for the recycling. I love these two books and if you’re trying to help your princess-loving girl find a little equilibrium in life, bring these home from the library. Amber Brown by Paula Danziger will be tickled to give their kids the Amber Brown series. Amber is one of my (and Kiddo’s) favorite characters on this list. She is truly irresistible, faces a variety of situations like dealing with missed friends and divorced parents. Author Danziger is a real pro who makes reading about life as a kid entertaining and realistic. Piper Reed by Kimberly Willis Holt. Piper has a lot to deal with, she’s the middle child of a Navy Chief who’s just announced the family is moving yet again! Piper also has dyslexia and worries about school, but fortunately she has a strong family bond with her parents and sisters. Piper Green and the Fairy Tree by Ellen Potter. Piper lives on a small Maine fishing island. One day when she is avoiding school she hides in a tree which turns out to have a magical secret. Bea Garcia by Deborah Zemke. Bea loves drawing and her pencil, notebook and imagination get her through tough times when her best friend moves away. I love the way reading about Bea’s artistic ability will encourage kids to use their own means of self-expression to help them through life. Mango and Bambang: The Not-A-Pig by Polly Faber, illustrated by Clara Vulliamy. This is a lovely series from a British author, with a wonderful, old-fashioned feel. Mango lives in a big city, with a lot of other busy people, including her very busy father. She feels a little lonely until she comes to the rescue of a frightened tapir named Bambang. The pair complement each other: Mango helps Bambang to navigate life in the city and to stay out of the clutches of Cynthia Prickle-Posset, a neighbor who collects Unusuals. In return, Bambang helps Mango with her own special challenge. Precious Ramotswe Mysteries by Alexander McCall Smith. Precious Ramotswe of the No. 1 Ladies’ Detective Agency book series for grown-ups solved her very first case in Botswana when she was just a girl. When her friends’ lunchtime treats go missing Precious is on the job and when she discovers the surprising thief a nice chuckle is had by all. This book is nice way of exposing young readers to other cultures and includes a reading guide, glossary, activity ideas and even a recipe! So far, there are three books in the series — all quite enjoyable, especially for read alouds. Sophia Martinez is the star of a new series by Jacqueline Jules, the author of Zapato Power (… a series that I adore! See it on my list of early chapter books with boy protagonists). This series is at a slightly easier reading level than Zapato Power, with color illustrations and very large type with lots of white space. Some words are Spanish (there is a glossary, but their meaning is easily gleaned from the text). Sophie is an appealingly clever (and not annoyingly sassy, thank goodness) girl who likes to enjoy life, help others and make a statement. Penelope Crumb by Shawn K. Stout. In the first book, Penelope has to come to terms with her big nose (inherited from her grandfather). This is a touching, yet still amusing story about a strong girl who misses her deceased father. I look forward to reading the second installment, to be published later this month. Beany (Not Beanhead) by Susan Wojciechowski. I like Beany; she’s a bit of a worrier and goes through a host of your standard issue kid experiences, but you’ll probably have to find her at your library rather than the bookstore. The Trouble with Cats by Martha Freeman. When her mother remarries, Holly finds herself in a new school, a new apartment and taking care of four new cats. A wonderful, realistic series about a girl facing fears and problems common to children of this age. Princess Posey by Stephanie Greene. Confession time: I expected not to like this series for the simple reason that it has glitter on the cover. In my opinion, glitter on the cover is a book publishing marketing ploy based on a girly-girl culture for which I have a particular revulsion. However, never judge a book by the cover. In each book, first-grader Princess Posey, who has a “security tutu,” discovers the strength within her to face down her fears. I’ve found the age of the protagonist is a good indication of reading level, making this a good first chapter book after when transitioning out of easy reader books. Heidi Heckelbeck by Wanda Coven. Like Posey, above, Heidi comes complete with glitter. Oy. The large font and illustration-heavy pages make this series about a school-aged witch a good choice for emergent readers who want to feel like they are reading “real” chapter books but may still not be ready for some of the others on this list. Judy Moody by Megan McDonald. Judy is a likeable character who has real feelings and moods that kids will readily recognize. Fortunately for readers, the imaginative, clever Judy finds creative and humorous ways to always make the best of her situations. Dessert First by Hallie Durand. If your nickname is Dessert, you have 5 siblings and your parents run a restaurant, you might expect to have interesting adventures that involve things like homemade double-decker fudge bars. And you’d be right. Frankly, Frannie by A. J. Stern. Frannie has lots of career and entrepreneurial ambitions. She tries on lots of job hats and young readers who like to dream about who they will be when they grow up will find her to be a good reading buddy. Daisy Dawson by Steve Voake. When Daisy rescues a butterfly, the creature gives her the power to communicate with animals. Henceforth young Daisy becomes a Dr. Doolittle in miniature with a lively imagination and a love of nature. Stella Batts by Courtney Sheinmel. Stella wants to be a writer and so she decides to pen her own autobiography. Her adventures revolve around her parents candy shop’s magical candy, friends, family, getting a dog and other suburban themes. Violet Mackerel by Anna Bradford. Large font, loads of illustrations and a plucky British heroine will appeal to the earliest chapter book readers. Gooney Bird Greene by Lois Lowry has become a classic! Second grader, Gooney Bird has a gift for storytelling, a unique sense of style and an irresistible personality. Absolutely Alfie by Sally Warner. A fun series by the author of Ellray Jakes. In fact, Alfie is Ellray’s younger sister! 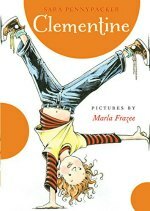 A charming series about a friendly, funny second grader whose uses her voice to stand up for her self. 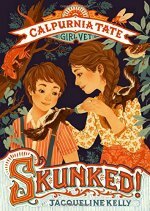 Calpurnia Tate, Girl Vet by Jacqueline Kelly, illustrated by Jennifer L. Meyer. This is a spin off of the excellent middle grade novel about a budding young naturalist, Calpurnia (see below). In this series, Calpurnia and her younger brother learn to take care of the local wildlife. 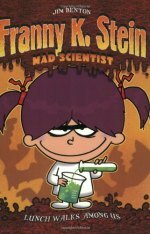 Franny K. Stein, Mad Scientist by Jim Benton. Franny is a young mad scientist (yes, for real!) but I love how her problems are that of a normal kid. She just wants to fit in with the other kids at school. Since she is a scientist she makes observations about what the other kids are doing (playing with dolls, dressing “cute”) and eating (squishy white bread sandwiches instead of pumpkin ravioli) and then conducts experiments to see how best she can adapt. It turns out, however, that her uniqueness is what helps her be accepted and appreciated by her classmates. This very clever series is lots of fun for both boys and girls. Sassy by Sharon Draper. Fourth grader Sassy is annoyed that her family calls her “Little Sister”. In fact, she doesn’t like much that comes with being the youngest child. She is determined to change things and the contents of her sparkly handbag that her grandmother gave her come in handy on that quest. Just Grace by Charise Mericle Harper. Grace navigates her third grade existence with the help of her best friend Mimi, her eccentric French downstairs neighbor, and her superhero-strength powers of empathy. Another wonderful list! This one will be a big help to me as my girls get a bit older. I love the options. In the classroom I read some of the Daisy Dawson, Judy Moody, Princess Posey, and Cam Jansen books. I am looking forward to checking out some of the others. Thanks, Shaunna! It’s good to know that the books are good for the classroom. Oh, and how could I have forgotten to mention Katie Kazoo, which my daughter has been devouring?!? And Violet Mackerel! Too bad I can’t gather all my thoughts at once – please excuse the multiple comments as more books occur to me! Katie Kazoo was originally on the list – it was becoming too long! And I haven’t had a chance to read Violet Mackerel, even though she was on my radar. One I forgot and which I did mean to put on the list was Gooney Bird and so I’m adding her right now as bonus 21! PS You can add as many books and comments as you want! With all the shout outs for Violet I have just put it on hold at the library! I know. Shameful. I also don’t like Dr. Seuss so I get banned from a lot of book clubs. I like Clementine better than Ramona too. Ramona comes off as a brat to me; Clementine comes off more as a kid to whom stuff happens. What a great list! I’m going to look for some of these at our library for my new eight year old. Thanks for the suggestion of Franny K Stein, I’m going to look into that it sounds great. I’ve read The Great Cake Mystery by McCall, but the Harriet Bean books are new to me. Must investigate! I was charmed by the first Franny K Stein book, maybe particularly because I wasn’t expecting it to be much more than a filler series? There’s a lot of series books that I sample here and there but leave the bulk of the series to my daughter, but these I will definitely read more of. We have Franny K. Stein out from the library now. I haven’t read it yet, though. Ooops, forgot one: Fancy Nancy has grown up and has her very own chapter book series now with the first two out: Nancy Clancy:Super Sleuth and Nancy Clancy: Secret Admirer. What a fun list! We’ll definitely look for these at our library. The only books my son has read on this list are the Clementine series. Our fave series with girl protagonists are the first 4 Betsy-Tacy books by Maud Hart Lovelace. I agree that Betsy-Tacy should be on everyone’s reading list! Great list! My daughter is just starting to read chapter books so we’ll definitely be checking these out! The only experience I have with early chapter books is with my son, and my daughter has a very different taste in reading! Lucky for you, though, you get to read all kinds of books for the two of them! Great list! We’ll be cgecking those out! K loved Gooney Bird Green and Judy Moody. She’s also love Pippi Longstocking and Emily Windsnap. Pippi is a great choice, maybe not as easy reading as some of the others on this list. We haven’t read the Emily Windsnap books, thanks for the suggestion. FABULOUS LIST!!!! My daughter is just turning 7 and this is perfect for her. Sharing. Pinning! Using! Thank you! Yay! Thanks. You’ll love our next list, too! How much time do you spend on these posts?! It’s quite a gold mine at this house, especially with Claire’s book club gearing up for a new season. Thanks for doing all the leg work!! I spend an embarrassingly long amount of time on them. Also with this one I worked on it and then lost half the draft when I was almost finished. AHHHHHHHH! I also wonder how long this took you. You’ll see my similar list omitted descriptions of the books. And how do you do your photos?!? Thanks. I used to write what I called “micro-reviews” – just one liners about the books, but then I worried that it wasn’t enough for people. I make the photo collages with picmonkey, which I am completely addicted to. Yeah, mine too. Picmonkey just started charging for some features but at $5 a month, it’s still pretty reasonable. You can still do a lot with their free features, though. I LOVED ‘The Cat ate my gymsuit’ – I think I must be older than you too (if you know what I mean)! Thanks for another great list – my boys like books about girls as long as there’s “not too much princesses in them” (in the words of my 3 year old). My 6 year old has been really enjoying the ‘Penny Dreadful’ series by Joanna Nadin – they are lots of fun! Oh, I want to read the Penny Dreadful series. I think series about girls are good for boys to read because I’ve noticed that in books about boys the girls are sometimes really annoying (I guess they seem that way to boys!). Thanks as always for another fabulous list! I’ve been putting lots of these on hold at the library! Come back and tell us which ones were your favorites. We love your lists, I put about ten books on hold with the library last night based on a few of your lists. Thanks for all the time you spend of this. It is greatly appreciated! Thank you! I make the lists to help other parents find good books, so I’m always glad to hear from moms like you. I do like Ramona — I just like Clementine better. Also I think the Ramona books are better for kids ages 7/8+ in terms of reading level, so I didn’t include them here. What an outstanding list!!! I also like the Cobble Street Cousins by Cynthia Rylant. 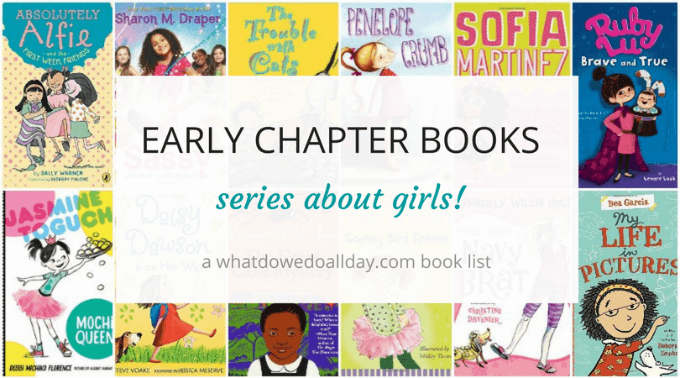 6 short and easy chapter books for girls. Such a sweet series! One of my very favorites and I think that Cynthia Rylant can not write book that is not outstanding! Renee C – sounds like you and I and our daughters have similar tastes! Wow, a great list. Ivy & Bean didn’t make it? I also liked Nora series, but the name of the author escapes me at the moment. I agree with you on Clementine, but Anna didn’t like the fact that the character was always in trouble. Ivy + Bean is on an upcoming list. Nora is from the Riverside kids series by Johanna Hurwitz. My daughter also likes The Amazing Days of Abby Hayes. Forgot that one. And Ivy and Bean, too. Thanks, Lori! They do make good read alouds, too. Karina liked the Beany books, but not enough to read all four that we borrowed. I think she only read two before she’d had enough of that character, too. Olivia (nine) didn’t even bother with Beany. We’ll try some of the other series. I’m finding that, sadly, my library doesn’t carry very many of them, or if they do, they only have the first book in the series. Vexing. LOL! Sophisticated we are not. We are purely taste driven! 😉 They just tried the first Gooney Bird book by Lois Lowry and loved it. And of course, they love Ivy & Bean, although Karina loves them more than Olivia. We own the Dollshop books, but I can’t get them to read them, despite their usual love of anything doll related. At nine, I’m seeing a definite shift in Olivia’s reading fare. thanks for the great list! perfect for my 7 year old-it’s tough to find books in the past early reader but not ready for a long chapter book. She loves the princess posey books-i hope there are more soon! One of the reasons I made these lists is that I found it a challenge for my son, too. He began reading at a very early age and he needed age appropriate books that were still at his reading level. I’m so glad you find the list helpful. We still have a few more coming! My 6 year old daughter isn’t quite ready for chapter books, but she’s close! I think we’ll have fun reading them together too. Thanks for taking the time to make these lists! Thanks, Morgan. I admit, I’m a little obsessed with making book lists! I’m glad that you are so obsessed. I make notes in my LibraryThing accounts (there is a separate one for the kids) but I never seem to flesh them out into actual reviews. I tried to keep a Library Thing account, but I could not keep up with it! This is a great list! 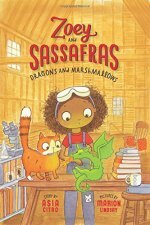 I bought 2 Princess Posey books for my new 1st grader after reading this – and we both loved them! It was so relatable and easy to read. I’ve already ordered another, and have two on hold at the library! I grew up reading Amelia Bedelia, and Ramona- I can’t wait to introduce my daughter to them as well. I don’t see Junie B Jones on here – do you recommend them? I’m so happy to hear you’ve found the list valuable, Laura! The only reason Junie B Jones is on this list is that, although I’ve read one of the books I never read them aloud to my son and he never read them himself! They weren’t my favorite books in the world and since I didn’t have my son’s opinion I left them off the list. However, I know a lot of kids love them, so it’s worth checking them out. After all, there is no risk getting them from the library! From one Erica to another…I recommend Cobble Street Cousins series – my daughter reads & rereads those (altho she is 10! ), also the Noisy Village books. Hi Erica! We do love Cobble Street Cousins, too! It’s on our list of early chapter books about friends and families. And I LOVE Noisy Village (on our list of chapter books to read aloud to preschoolers.) Great suggestions!! Something I read when I was in that age group and my ten year old sister enjoys is the Junie B. Jones series! Also the babysitters club little sister series. They’re 90s/early 2000s series but they were really enjoyable! Another great chapter for books for girls is ‘The Magical World of Sebella.’ Filled with magic and adventure. Happy to have stumbled upon this list! I’m always looking for new books for my 7 year old. She’s been bringing home the Cam Jansen books from the library recently, and likes Franny K. Stein. She just got Logic Lotty on the recommendation of a friend and is really liking it so far. I think it’s a series. I’ve not heard of Logic Lotty. Thanks for the recommendation! If you haven’t seen them yet, I hope you’ll take a peek at the Mermaid Tales series. I’m putting in another plug for Franny. She’s a mad scientist that loves bats and monsters. She’s always coming up with clever inventions. I find that most chapter books marketed to girls are usually cutesy and uphold annoying gender roles and stereotypes. Franny is refreshingly different. We love Franny! She is on my list of science themed chapter books. Thanks for the recommendation! Another series my daughter really enjoys is Nancy Drew and the Clue Crew. Thank you for this list (and other lists)! My daughter will be 6 in February, but is in first grade. She is moving beyond Easy Reader books and we’ve read both the Ramona series and Henry Huggins series together (she enjoyed both). I was looking for ideas for books she could read on her own, as well as books we could read together and, because of your suggestions, I have a huge list on my Amazon wish list to look into further (read reviews, see if my library has them). Very excited! Thank you again. I’m glad the list was useful. Happy Reading! We are loving Amelia Bedelia chapter books… They leave us all (including my husband!) in absolute stitches. Lots of fun reading. Our favorite early chapter book series about girls is Ling and Ting by Grace Lee. These are at a really elementary reading level, with great pictures and subtle humor that amuses both kids and parents. I adore Ling and Ting! I have them on a diverse easy reader list. Thank you for these. I’m a librarian (but in a university, so not an expert on early chapter books), and I’m always looking for books for my 7-year-old son. Thanks especially for pointing out that “books about girls” are not “books for girls”. It drives the feminist in me crazy when people assume boys won’t read books about girls. Well, of course they won’t, if they get the message such books aren’t for them! Yes, my oldest loves Captain Underpants, but he also loves Pippi Longstocking. I’m always on the lookout for books with good girl protagonists, or even better, ones that show boys and girls playing and working together. I’m glad the list was helpful. Happy reading!